"Sonshine" Nursing Home ministry provides a great opportunity to witness to our residents in the final stages of their lives, to refresh the Christians who already know The Lord, and also to reach out to the ones who might not have had the opportunity to know about The Lord in order to assure their lives in eternity. We sing, give a message/lesson and have fun in The Lord. They all look so forward to our visits. Each year, at Christmastime, we team together to provide a Giving Tree. Our wonderful LBC Congregation takes a card from the tree and provides a gift from a list provided. We were able to provide 80+ gifts for Christmas 2018! These residents no longer have family to care for them or visit them. 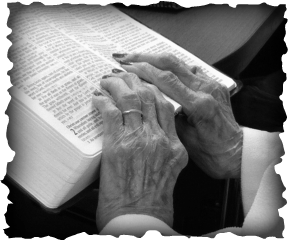 Psalms 71:9 - "Cast me not off in the time of old age; forsake me not when my strength faileth."